A homeless man who frequently slept rough near Parliament has died. British Transport Police were called to Westminster Underground station at about 11pm on December 18, following reports that a man, known as Gyula Remes, had collapsed. First aid was given by the officers and Mr Remes was later taken to a central London hospital where he died in the early hours of December 19. MPs were told about the death by Labour frontbencher Sir Keir Starmer, who said: "I'm given to understand that tragically one of those sleeping just outside the entrance and exit to this place died in the last 24 hours or so." According to his friend Gabor Kasza, 22, Mr Remes had been drinking that night and had been given a cigarette, which he suspected had been laced with the synthetic drug spice. "He was drinking, very heavily, and someone gave him some kind of cigarette which he smoked. "He said he was going to lie down and then when I came back a few hours later, he was all blue. We couldn't resuscitate him. Mr Kasza, who is homeless, met Mr Remes a few months ago at the homelessness charity The Connection, where they established a close friendship due to their shared Hungarian heritage. Mr Kasza said the 43-year-old had recently begun work as a chef's assistant and was well known among the homeless community at Westminster station. "He had a job and he was going to The Connection but they wouldn't let him in. They kept telling him 'the hostels are full, the hostels are full'," he continued. Mr Kasza said that Mr Remes was due to receive his first pay cheque "some time this week" which he had hoped would enable him to get off the streets for good. 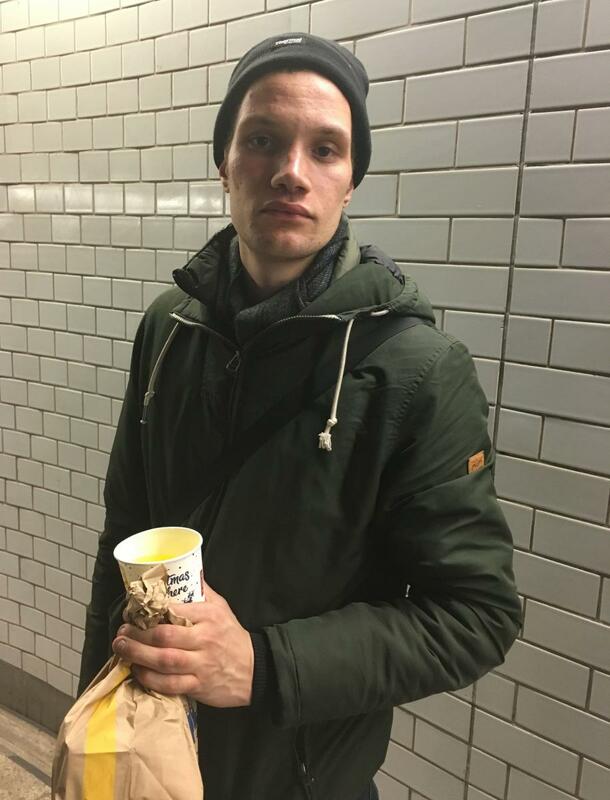 "He was drinking heavily because he had just got a job and he was all happy that he wasn't going to be homeless any more," he said. 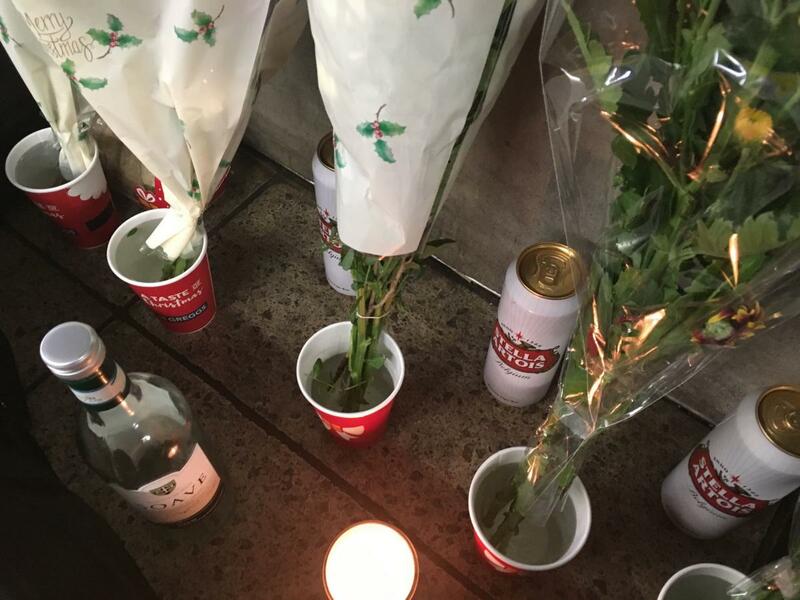 A shrine, consisting of five bunches of flowers, four cans of beer, six mince pies, a candle and an empty bottle of wine, has been left in the underpass of exit three at the station. A spokesman for the Metropolitan Police said: "At around 11.30pm on December 18 we were alerted by officers from British Transport Police to a man collapsed in an underpass near to Westminster Underground station. "First aid was administered by the BTP officers and the man was taken to a central London hospital, where he died in the early hours of December 19." The death is not being treated as suspicious by the police. Shadow housing minister Roberta Blackman-Woods asked whether any strategy was being put in place following the second death of a homeless man on the doorstep of Westminster. Communities Secretary James Brokenshire responded: "Investigations are ongoing into the circumstances surrounding this death. "I am clear that one death on our streets is one too many and it is simply unacceptable to see lives cut short this way." He added the Government was investing £1.2 billion to tackle homelessness and planned to halve rough sleeping by 2022 and end it by 2027. He said: "I am also committed to ensuring independent reviews into the deaths of rough sleepers are conducted, where appropriate, so that important lessons are learned. It is vital that we have as much detailed information as possible so we can target support in the right way. "I will be asking Westminster City Council to refer this to their Safeguarding Adults Board to look into the case."